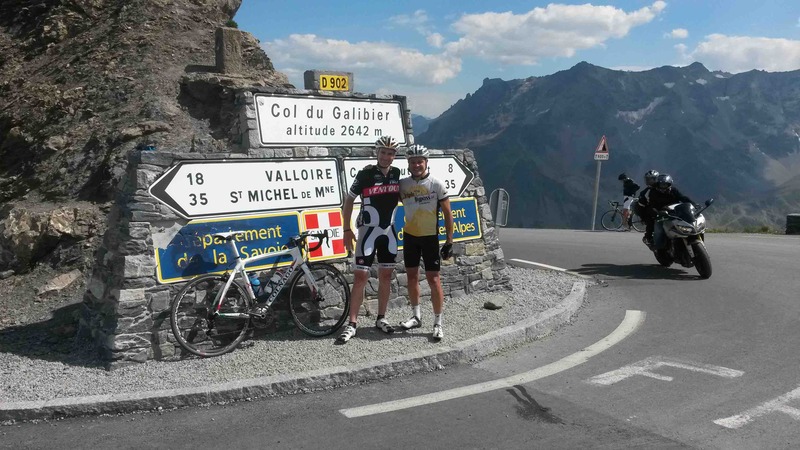 Today we climbed the infamous Cols du Telegraphe and Galibier (the latter is the second highest paved pass in France at 8,668 feet). We had hoped to do a big loop that included both cols (or pass in French), but an avalanche closed the only road that would complete the loop, so we had to do these climbs as an out and back. Rather than climb both sides of a third col, we drove to the top of the Col du Glandon (one of my favorites), and Tim and I descended from there while Val drove the car to the bottom. This saved us from having to do 4 HC climbs ("off category" or hardest climbs in the Tour de France) in one day. As it is we climbed nearly 8,500 feet in just over 80 miles! 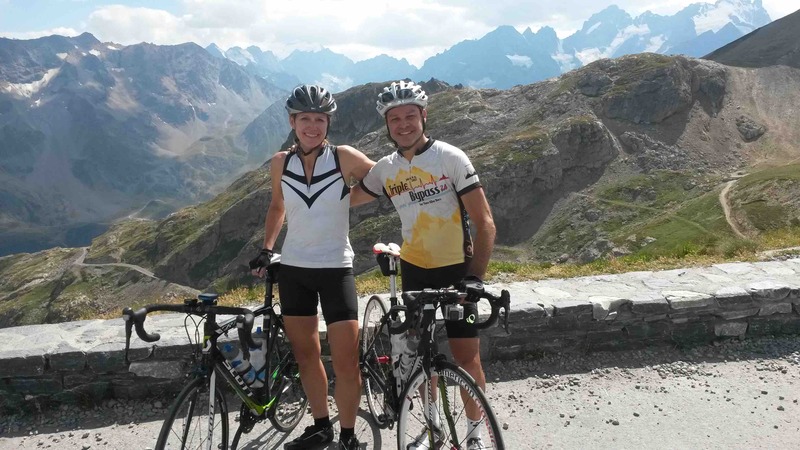 Once again Tim was incredibly strong, and Val conquered yet another one of the toughest climbs in France. Click here to see my data for the day. And here are a few photos from today, with amazing video to follow. PS. We saved the Lacets de Montvernier for tomorrow!